Hard clumps form instantly on the top of the litter box, rather than soaking to the bottom, making it easy to scoop and keeping the litter box ultra-clean throughout use. Boxiecat achieves incredibly low dust levels with an advanced dust suppression process. 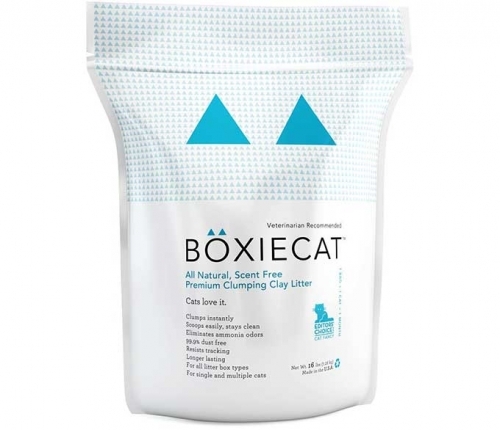 Boxiecat’s scent-free formula is truly odorless and eliminates ammonia odors without using fragrance as a masking agent. It is all natural, hypoallergenic, and contains no chemicals or additives.